The new service opens today, but what does it involve? IRELAND’S INSOLVENCY SERVICE opened its doors today, five months after it was first established. If you’re not sure what the Insolvency Service of Ireland (ISI) involves, or if you are suitable for it, we’ve put together an explainer for you. What is insolvency? Is it the same as bankruptcy? Insolvency is the inability of a person (debtor) to pay their debt. It is not the same thing as bankruptcy, and describes someone who can’t pay their debts or who has more liabilities than assets. 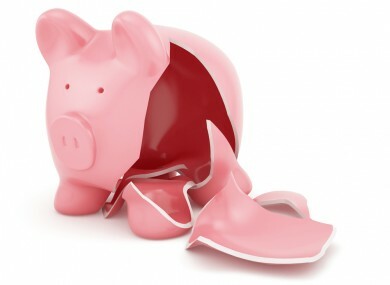 Insolvency can lead to bankruptcy. A court determines that a person is bankrupt, and legal orders are put in place to resolve bankruptcy. Bankruptcy is generally seen as a last option and highly affects your credit rating. Why did the ISI begin today? The service was put in place in March of this year, and was set up under the Personal Insolvency Act 2012. It is in a position to accept applications from today. There are 80 staff members who are expecting to be very busy. Have people already contacted the ISI? Yes, the latest reports say that 4,500 people have already contacted them, so a flood of applications is expected. The ISI provides for three new debt settlement procedures, and reduces the term of bankruptcy to three years, down from 12 years. As the Citizens Information site puts it, the ISI “is responsible for all matters concerning personal insolvency”, and administers new debt settlement procedures, authorises approved intermediaries, and monitors the operation of the new procedures. The service begins with people getting in contact with either a Personal Insolvency Practitioner (PIP) or Approved Intermediary (see the next question for what they are) to bring about an insolvency arrangement. When you enter an insolvency arrangement, you are given the protection of the courts from your creditors for a period of three months. The PIP will work on proposals for your insolvency that should be deemed satisfactory to both the borrower and the creditor. You can meet with a PIP without making the decision to undertake a procedure. So, what does the ISI actually do – and what does a Personal Insolvency Practitioner or an Approved Intermediary have to do with it? If you have a debt level of under €20,000, an income of under €60 per month after reasonable living expenses are deducted, and a maximum of €400 assets, then an Approved Intermediary (AI) will deal with your case. You would undertake a DRN, which enables you to write off your debts where you can prove you are not in a position to repay them and it is unlikely your financial situation will improve in the next three years. Here is more in-depth information on a DRN. However if you have unsecured debt OR secured and unsecured debt, with no maximum amount of income or assets, then you deal with a Personal Insolvency Practitioner (PIP), not an AI. Secured debt would mean a mortgage, for example, whereas unsecured debt would be credit card debt or term deposits. A Debt Settlement Arrangement (DSA) or a Personal Insolvency Arrangement (PIA). A DSA only includes unsecured debts, where the creditor wouldn’t be entitled to seize specific assets if the debtor doesn’t make repayments. This is because the creditor doesn’t hold security over these assets. A DSA must be agreed by the debtor, and approved at a creditor’s meeting by 65 per cent of creditors in value. It must be processed by the ISI and approved by the court. The unsecured debts subject to the DSA will be settled over a period of up to five years. This can be extended to six years in certain circumstances. More in-depth information on DSAs is available here. A Personal Insolvency Arrangement (PIA) is for someone with secured AND unsecured debt, and can be entered into between a debtor and one or more of their creditors. However, certain debts cannot be included in a PIA and the creditor must give consent for certain other debts. There is a limit of €3million to the secured debt that can be included in a PIA – unless all secured creditors give their consent to a higher amount. The PIA and DSA differ in that the PIA includes secured debt. Under a PIA, debts will be settled for up to six years, with a possibility of it being extended to seven years. Secured debts can be restructured under a PIA. More in-depth information about a PIA can be found here. What are reasonable living expenses? The ISI has set out specific guidelines for how it calculates ‘Reasonable Living Expenses’. If you visit this part of their website, you can find out how they apply to things such as childcare and housing. How broke do you have to be before you use the service? As you can see from above, if you have a debt level of under €20,000, an income of under €60 per month after reasonable living expenses are deducted, and a maximum of €400 assets, then you can undertake a Debt Relief Notice (DRN). What will be done about people who try to hide assets (like a secret bank account or house abroad) from the ISI? According to Lorcan O’Connor from the ISI when he spoke on Morning Ireland today, there are four ‘safety nets’ to prevent this. The person has to sign a statutory declaration saying that what they state is true, fair and reasonable. They have to convince the practitioner through back-up documentation that what is in the application stands up. The ISI then verifies the application. The court must also look at the application. O’Connor said that if the creditor tells the ISI even after this that somebody hasn’t disclosed information, they will take consequences, meaning legal action. What training and qualifications will the personal insolvency practitioners have? The practitioners are generally accountants working in the insolvency area. They have to do an ISI-recommended course, which is usually about 2 – 3 days long, and then apply for registration. The ISI needs to ensure the person is qualified, has undergone the relevant training, and also has the proper insurance and back-up staff. Is there anything like this in any other country? Yes, there are insolvency services in place in the UK, for example. The Irish system has some similarities to the UK system but also has some unique aspects – such as how it deals with mortgages – that the UK system does not. According to Lorcan O’Connor, the cost of a PIP is from around €2000, and this money is paid out of what is available to creditors. However, some more complex cases may require a bigger fee – there are examples on the ISI website that show that costs can vary, such as this DSA scenario where the cost is €4,000. Some PIPs are charging fees up front, while some are not. The fees are supposed to be taken as part of the overall arrangement. AIs cannot charge a fee. Do the banks have a veto? How likely are they to use it? The process is an ongoing one, as Ross Maguire from New Beginnings explained. He said that after you apply to the ISI and meet your PIP you are given 70 days for the PIP to put together your application to your creditors. Often, the bank will be the biggest creditor, and could reject the proposal. But the PIP is constantly working to put together the best proposal so that it will be accepted, and can keep returning to the creditors for negotiation. Also, the PIP gives the creditors two proposals – one with the details of how much they would be paid under the ISI, and one with what they would be paid in the case of bankruptcy. Usually, said Maguire, banks would get a lot less money in the case of bankruptcy, perhaps nothing, meaning that the ISI would be preferable. Who out of my creditors gets paid what? The creditors are paid back the money proportionate to what they are owed. How will it affect my credit rating in the future? While you go through the procedure you will be insolvent, but when you come through the process you become solvent, so you will actually have a better credit rating then. So it will affect your credit rating, but you should come out of the procedure with a better credit rating. What can I do if I enter into the service, but feel I’m being treated unfairly? If a PIP advised a bad deal, you could sue them – but they have to be very careful that they offer a deal that is sustainable, said Maguire. He said that the last thing a PIP would want is to go through a process and the person remain insolvent. PIPs have to have large insurance in case things go wrong. Where’s the official ISI website, and the contact details? Email “Explainer: What does the Insolvency Service of Ireland do?”. Feedback on “Explainer: What does the Insolvency Service of Ireland do?”.